Kerala Catholic Bishop Council (KCBC) has objected to National Commission for Women Chairperson Rekha Sharma's comments to ban confession in churches. 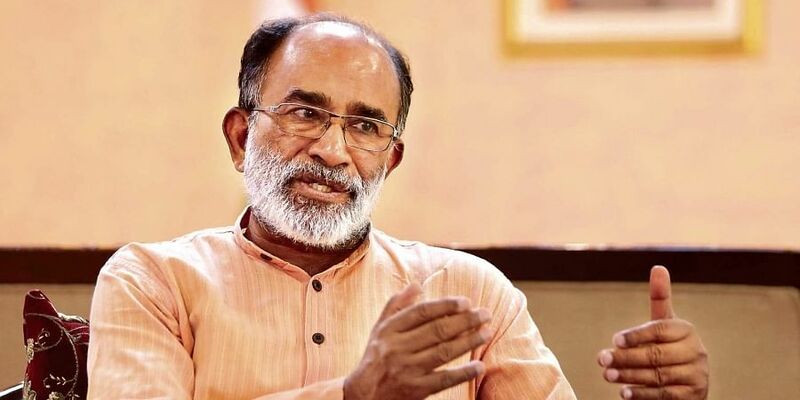 NEW DELHI: Union Minister and a neo-Christian face of BJP K J Alphons has sought to put the row over 'ban' on confession of Christians to rest by asserting that "there is no connection to the Central government" on NCW chairperson Rekha Sharma making a recommendation for the same. "This is the personal opinion of Mrs Sharma. In matters of religious belief, Narendra Modi's government has never interfered," Union Tourism Minister Mr Alphons said in a Facebook post. The clarification from the Union Minister comes in the wake of reports that the Kerala Catholic Bishop Council (KCBC) has taken note of reports that the National Commission for Women Chairperson Rekha Sharma has made a recommendation to the Union Home Ministry to ban the Sacrament of Confession among Christians in India. In a statement, the KCBC Deputy Secretary General Varghese Valikkat said the move is "shocking" for all who believe in the freedom of religion guaranteed by the Constitution of India. "We strongly feel that the recommendation is unwarranted and violates the honour and credibility of the Christian community," it said adding "We suspect communal and political motives behind this unconstitutional interference into the internal spiritual affairs of the Church". Kerala BJP leader George Kurian has also criticised the proposal of the National Commission for Women to ban confession in churches.